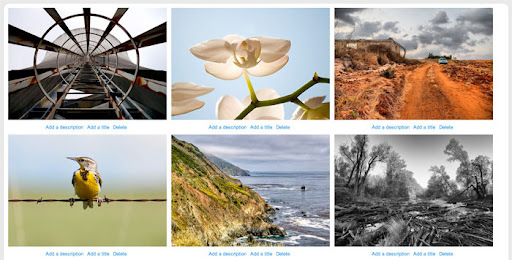 The following demo shows a very simple implementation of an image organizer with jQuery. I focused on essential features mostly. For that reason, I recommend you to study the source in order to write your own version, possibly AJAX-enabled. In the meantime, enjoy this demo!